Three Bakers Gluten Free Bakery recently released a brand new product that will change the way you snack. The product is called Snackers. 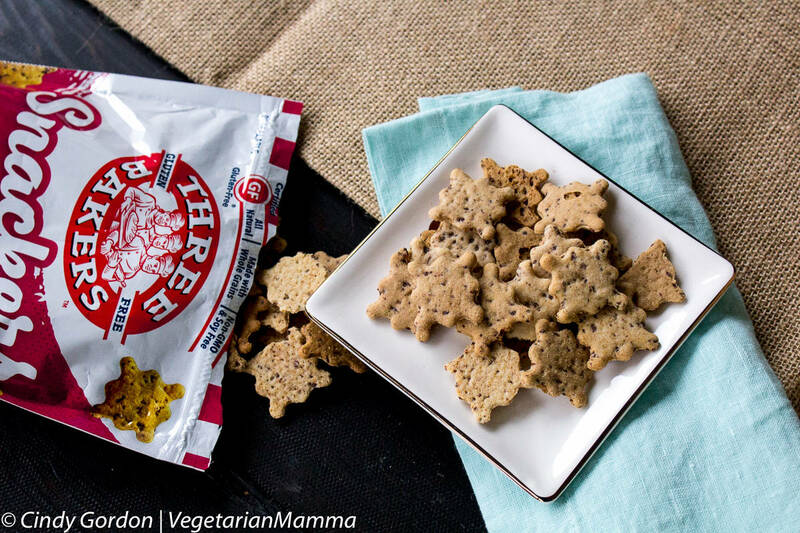 I am SO excited to tell you about these NEW treats from Three Bakers! But first, let’s learn a little more about the company! Three Bakers Gluten Free Bakery was born out of passion. This passion was driven by the personal stories of the bakery’s founders, Jane and Dan. Jane grew up baking pastries and bread in her family’s traditional bakery. 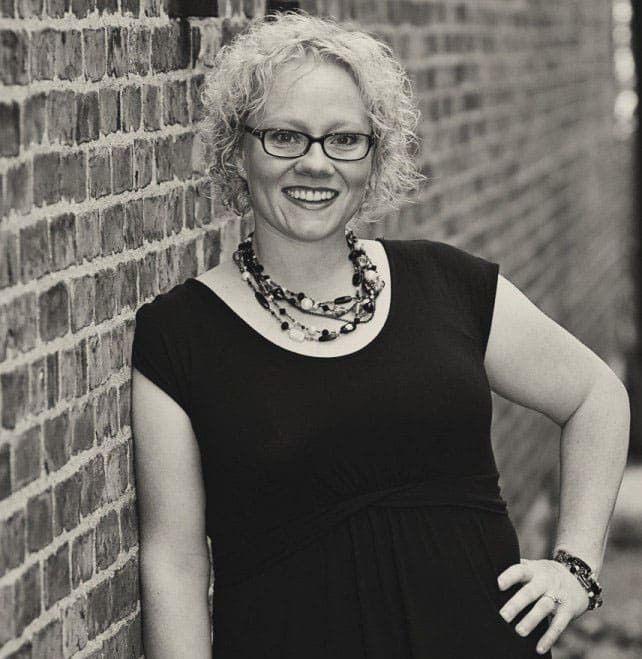 When she was diagnosed with celiac disease in 2002, she was heartbroken to lose that bit of her history. 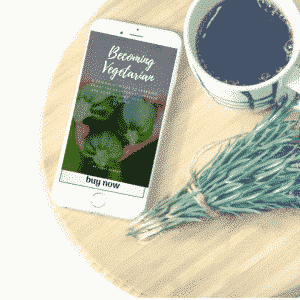 Jane’s husband Dan, an expert baker, was determined to perfect the art of gluten free baking for Jane – and the business was born. Dan worked extremely hard to find new and better ways to make gluten free baked goods actually taste and resemble their traditional wheat-filled counterparts. In the early 2000’s, this was new territory, and a lot of experimentation went into his recipes. His first success was with pizza dough. Next came all of the other breads, pastries, cakes, and cookies. Dan and Jane started small, making batches of gluten free baked goods in their home and selling them at the family bakery. When the demand for their products outgrew their home kitchen, they moved into their own bakery and have been growing ever since. When it came time to name their new company, Jane and Dan wanted to honor the man who started and molded their love for baking: Jane’s father, who had passed away. He is the third baker in the Three Bakers name. Three Bakers is committed to creating products that are healthy for you, and taste good. They know that gluten free products that actually taste good are difficult to find, and they want to be the brand that you go to because they promise great taste. 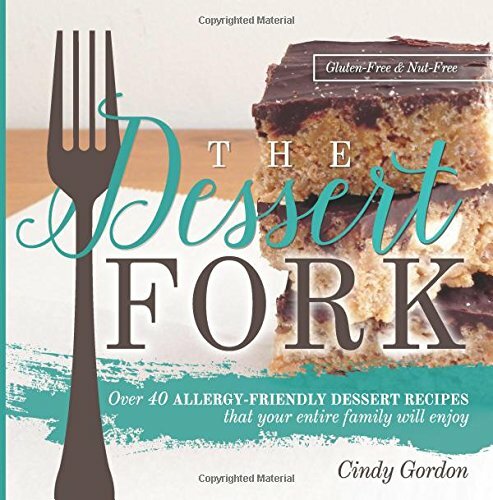 In addition to being certified gluten free, many of their products are also soy free, non GMO, and dairy free. The products coming out of Three Bakers’ bakery are ever evolving. In addition to a variety of breads, they also make rolls, pizza crusts, stuffing mix, and frozen pizzas. 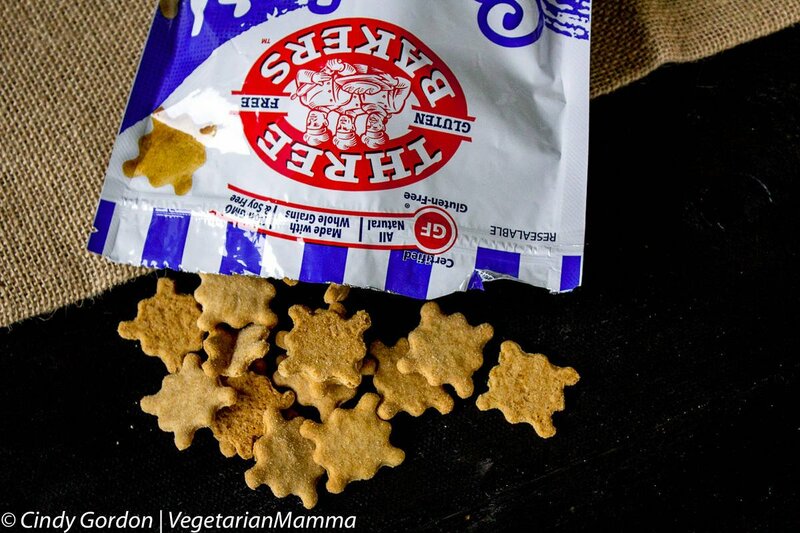 Their newest product is one of our new favorites, and it’s a cookie/cracker hybrid called Snackers. 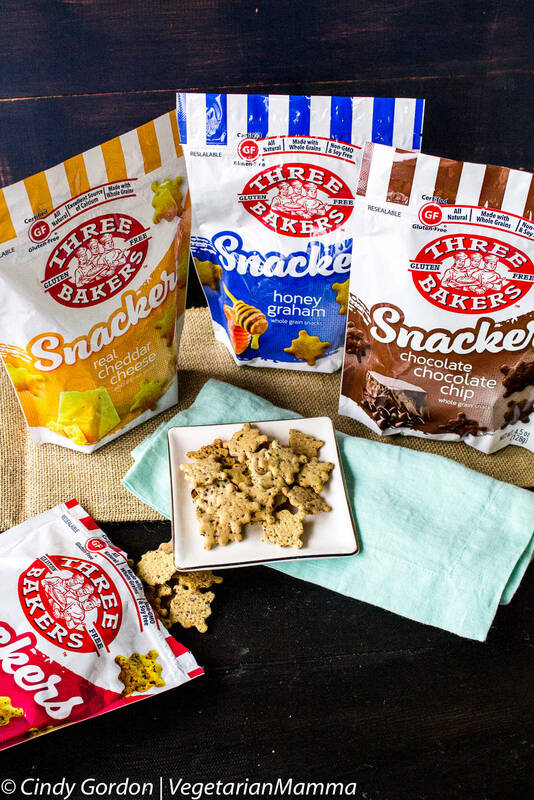 Three Bakers’ Snackers come in 4 simple yet satisfying flavors: chocolate, chocolate chip, honey graham, and cheddar cheese. These small crackers are perfect for eating by the handful, or for tossing in a lunchbox for yourself of your children. Compared to other gluten free cookies or crackers, Snackers have much less sugar, fat, and calories, making them a healthy addition to any diet, and especially nice if you’re watching what you eat. Snackers have changed our lives. While that is a bold statement, it is true. Snackers are perfect for easing a sweet tooth, or a craving for something crunchy. They make great on the go snacks for after school or for car trips too. You can portion them out, or just take the whole bag – it’s re-sealable! I really like how convenient these are to carry with me, and the kids love having a yummy, crunchy snack ready for them when they get off of the bus. The cheddar cheese is amazing. 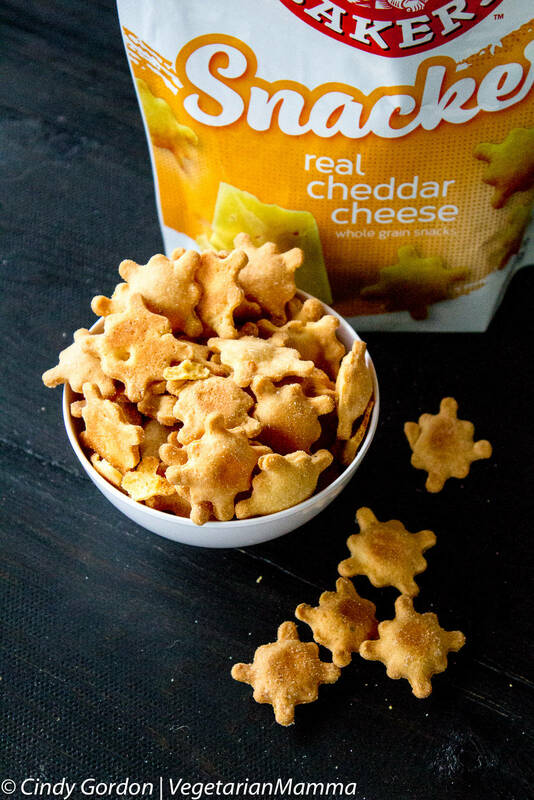 My little gluten-free guy is in LOVE with these (so am I) He loves that he can eat these at school, while his friends eat the other little golden cracker that is shaped like a fish. The other flavors are amazing. You really have to pace yourself so you won’t eat the entire bag! They are THAT good! You can eat the Snackers alone or with an easy homemade dip. Or maybe you are a dunker? If so, I would suggest making this delicious Mocha and dunking some chocolate chip flavored Snackers into that heavenly drink! Look for Three Bakers’ Snackers and all of their other products at your local grocery store, or you can order Snackers online. Read articles, find recipes, and more on Three Bakers’ Blog, or follow them on Facebook, Twitter and Pinterest. Looking for more snack ideas? Be sure to check out our recipe index! Let’s talk! I must say that ALL of the flavors are delicious, but if you had to pick one to try, which one would it be? Leave me a comment, letting me know! These sound super good. I think my kids would really like these, too! I am going to pick some up! Thanks Robin! Glad you are going check them out! We normally make all of our own snacks because we really want to know what goes into our food without tons of dyes etc. If these snacks are make with all natural products they would be great to have around when I don’t have time to make our own. Yes, they are great for on-the-go. Be sure to check them out and see if they would be a great fit for your family. We all have different needs! I am so thankful to have found such a delicious, safe snack for my family! These look really very good! I haven’t seem them in stores yet but I’m always on the hunt for a healthy snack. For sure, keep looking and you can check the Three Bakers site for more information on where you can buy them! Thank you for sharing with your friend, Tammy! That is great, I am sure they will love them too! The snacks sound amazing. I need to find them for my mom who eats a gluten-free diet. I always worry that the food lack taste when they are gluten-free but these sound delicious! They are delicious Felicita! I hope your mom loves them too! 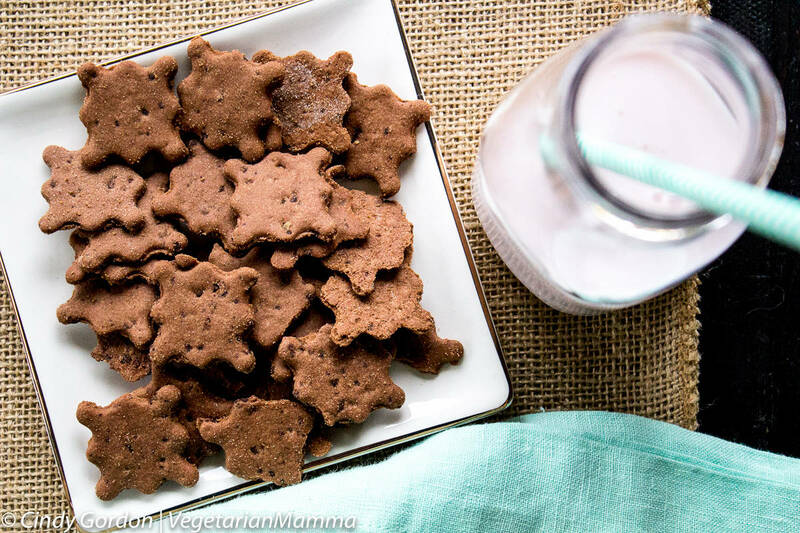 These look like really great snack ideas. There is a gluten free section at my grocery store that I’ll have to check out for these! Thanks Lisa! Do look for them! You can check the Three Bakers site for more information on where you can find them! 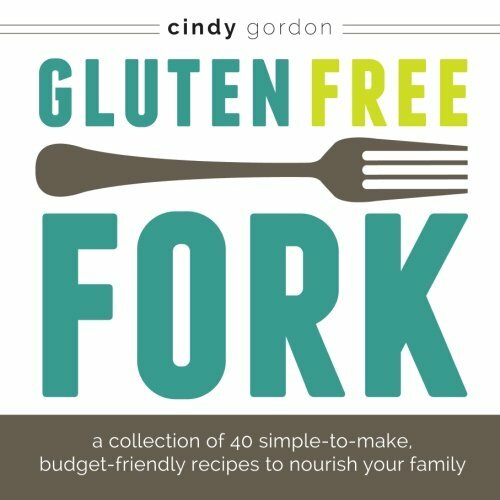 My daughter is gluten free because of celiac and is always looking for gluten free snacks to keep around her house. These sound great! Thanks Pam, do check these out. This company also makes great bread as well! I LOVED the cheddar cheese! ha, they are so addictive! These look so tasty, my kids would love them. The shape is very unique. Yes, such a fun shape! I love to read about entrepreneurs who make their passions and dreams comes true with amazing products! I will have to try these out, my husband is all about low carbs, so thee would be great for him. Aren’t those the best companies? Love it! Hope you check them out! Thanks for letting me know a lot about these gluten free snacks. We had an issue with gluten earlier this year and it’s good to know what options are out there. You are so welcome David! These seem like great snack options! My kids have a few gluten free friends and when they come over I always struggle with what to feed them. Having these on hand would be a big help out! This would be a great snack to have on hand! I’ve never heard of this. Sooo great and looks like it would taste good. They are very good, I hope you give them a try! They are delicious! I hope that you give them a try! We are not gluten free but I still can’t wait to try these! They look so good, and a great afternoon snack. You can’t wrong with chocolate chip, or cheese for that matter. You got it, the chocolate chip and cheese are winners! Perfect, do check out the site, they are delicious! These sounds great! My kids love them!! I am a self confessed snacker too! Oh my gosh these look so good! I need to try these out – I love snacking and I love eating healthy snacks at that! Great post!